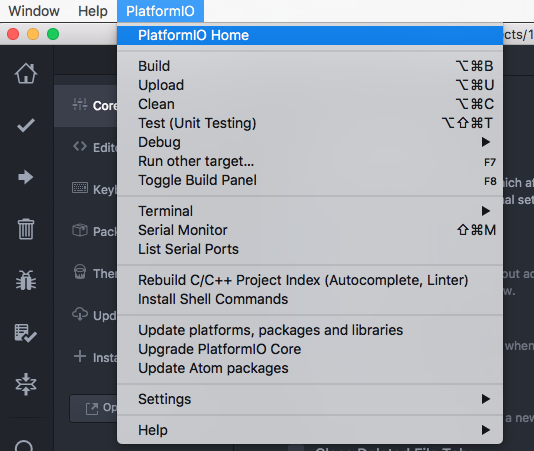 Please note that you do not need to install PlatformIO Core (CLI) separately if you are going to use PlatformIO IDE for Atom. 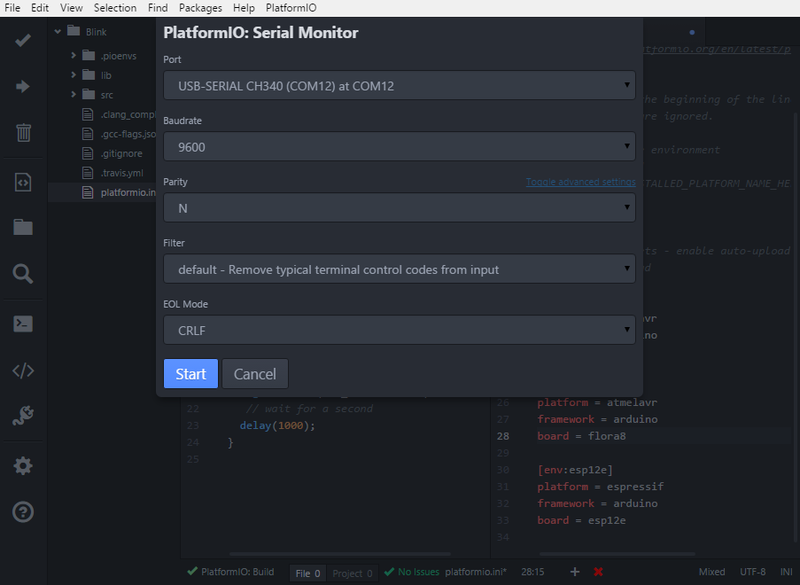 PlatformIO Core (CLI) is built into PlatformIO IDE and you will be able to use it within PlatformIO IDE Terminal. 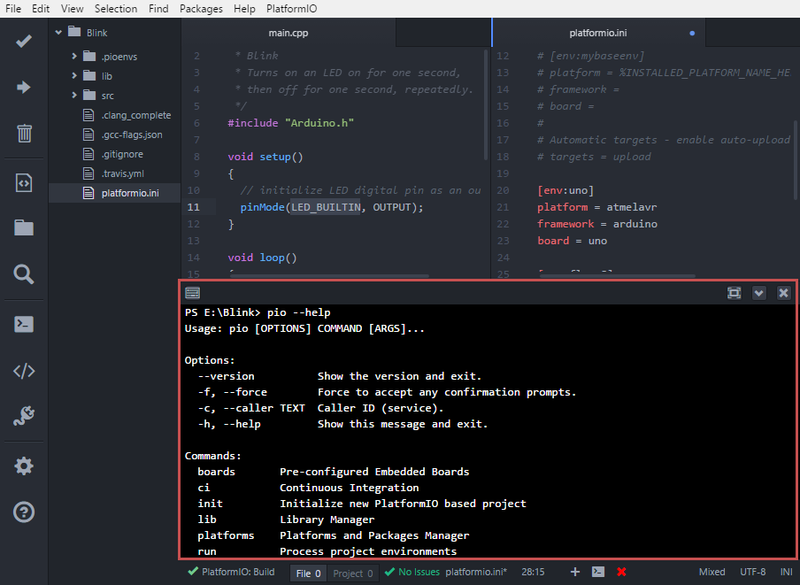 Also, PlatformIO IDE allows one to install PlatformIO Core (CLI) Shell Commands (pio, platformio) globally to your system via Menu: PlatformIO > Install Shell Commands. Windows: Download Clang 3.9.1 for Windows. 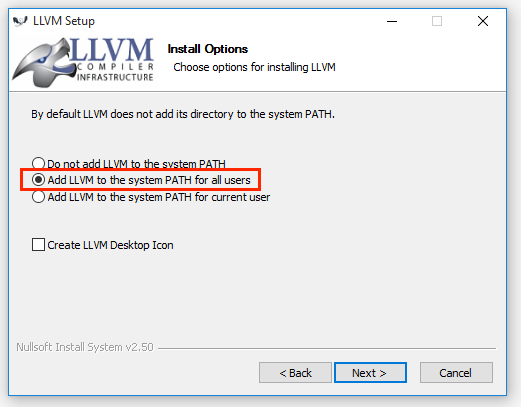 Please select “Add LLVM to the system PATH” option on the installation step. PLEASE DO NOT INSTALL CLANG 4.0. TEMPORARY, WE SUPPORT ONLY CLANG 3.9. If you see Failed to find MSBuild toolsets directory error in the installation console, please ignore it and press any key to close this window. PlatformIO IDE uses only Clang completion engine that should work after it without any problems. Linux: Using package managers: apt-get install clang or yum install clang. Other Systems: Download the latest Clang for the other systems. 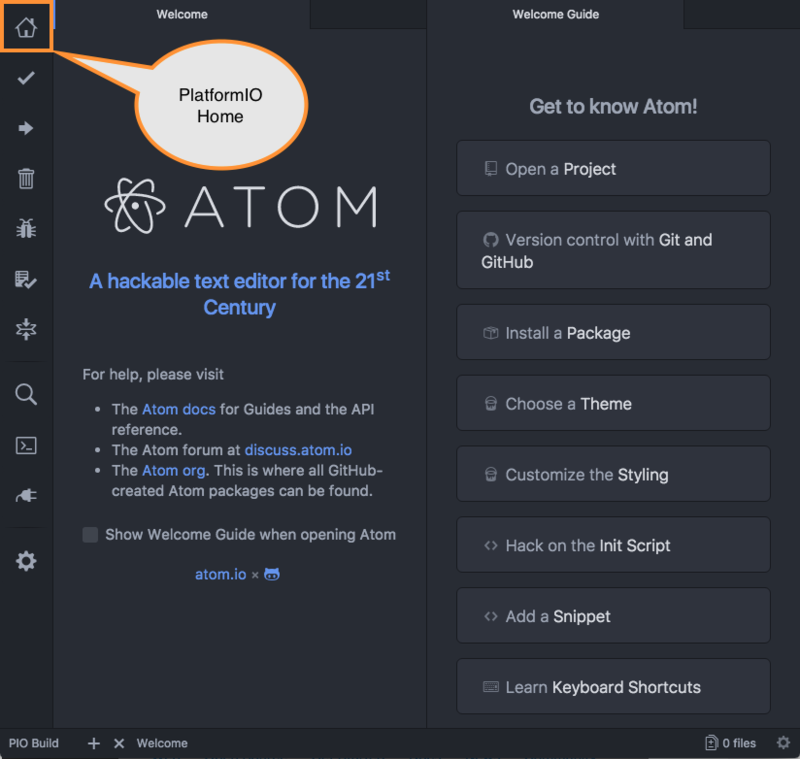 After installation, you launch PlatformIO IDE by opening Atom. 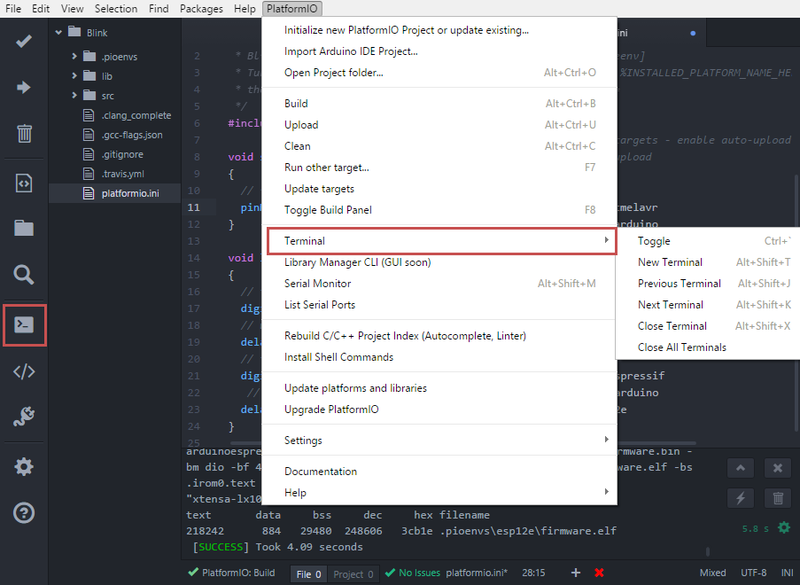 Once Atom is opened, PlatformIO IDE auto installer will continue to install dependent packages and PlatformIO Core (CLI). Please be patient and let the installation complete. 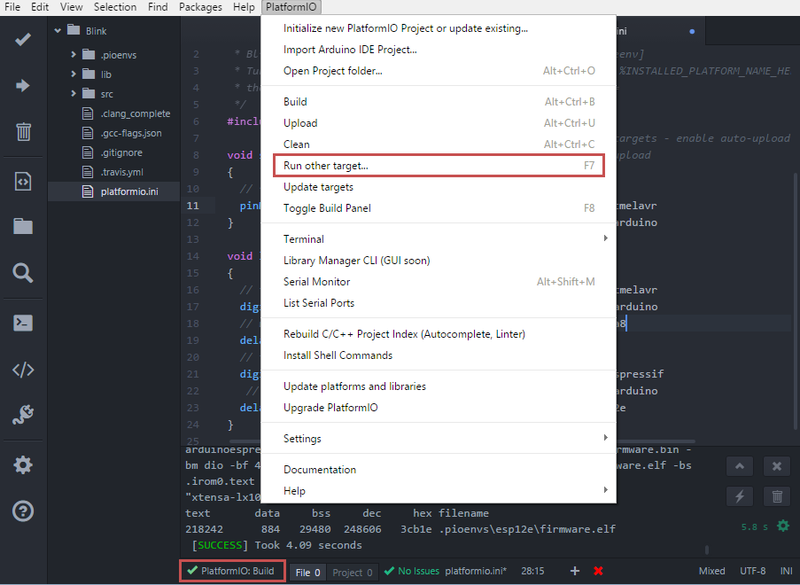 In the final result PlatformIO IDE will ask you to reload Atom window to apply installed components. Please click on Reload Now. 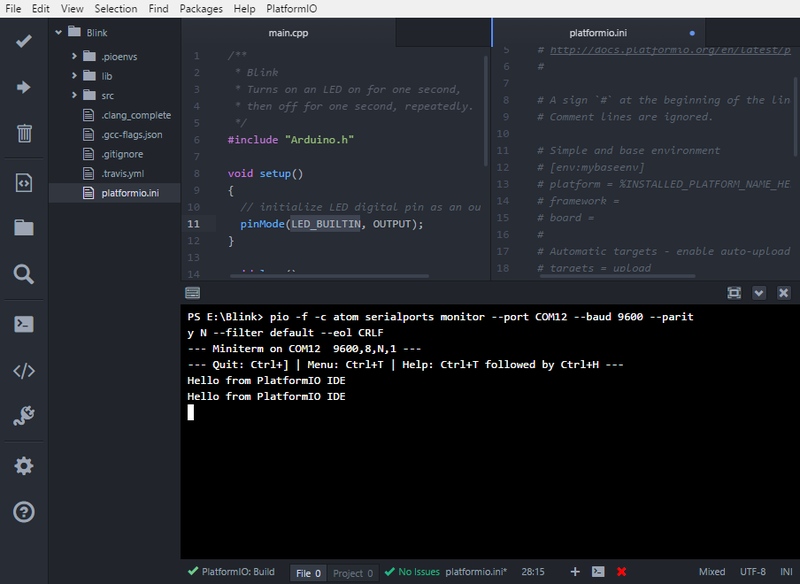 After it PlatformIO IDE is ready for using. Happy coding! To upload firmware to the board run Upload. 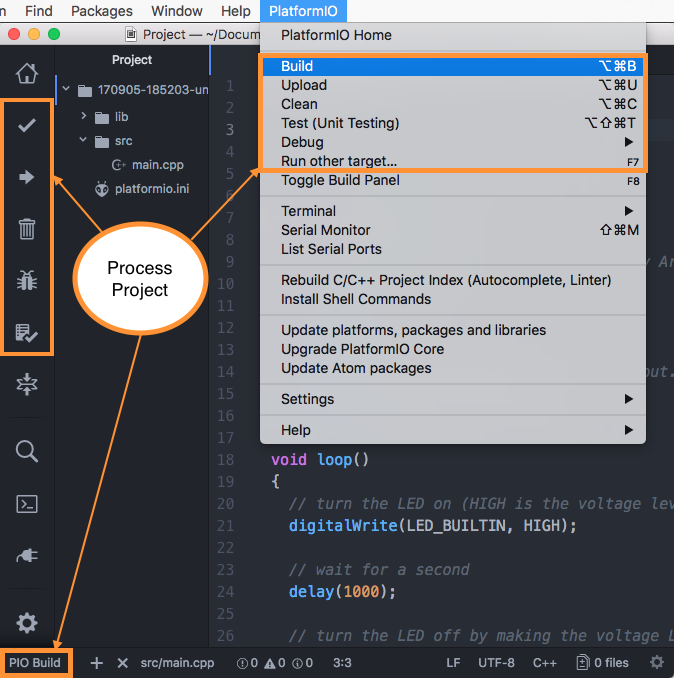 platformio-ide package adds to Atom new menu item named Menu: PlatformIO (after Menu: Help item). 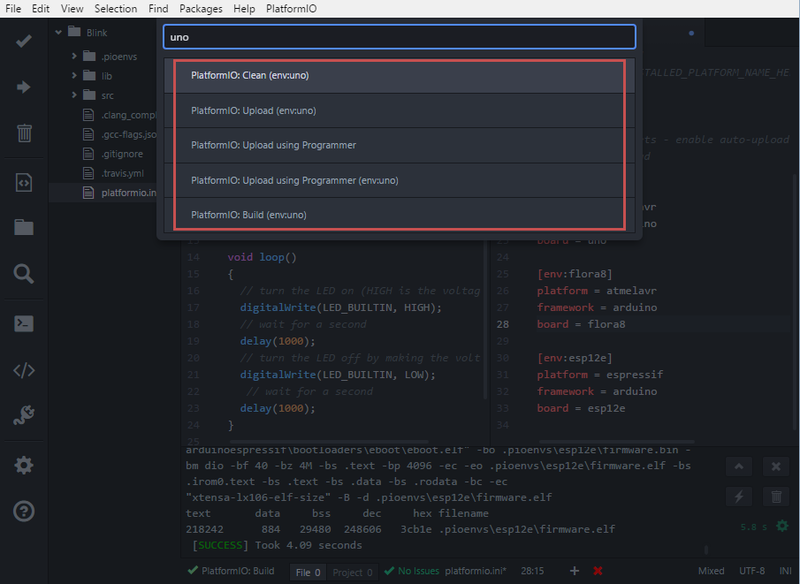 PlatformIO IDE Toolbar contains quick access buttons for the popular commands. Each button contains hint (delay mouse on it). cmd-alt-b / ctrl-alt-b / f9 builds project without auto-uploading. cmd-alt-u / ctrl-alt-u builds and uploads (if no errors). cmd-alt-c / ctrl-alt-c cleans compiled objects. cmd-alt-t / ctrl-alt-t / f7 run other targets (Upload using Programmer, Upload SPIFFS image, Update platforms and libraries). cmd-alt-g / ctrl-alt-g / f4 cycles through causes of build error. cmd-alt-h / ctrl-alt-h / shift-f4 goes to the first build error. cmd-alt-v / ctrl-alt-v / f8 toggles the build panel. escape terminates build / closes the build window. More options Menu: PlatformIO > Settings > Build. 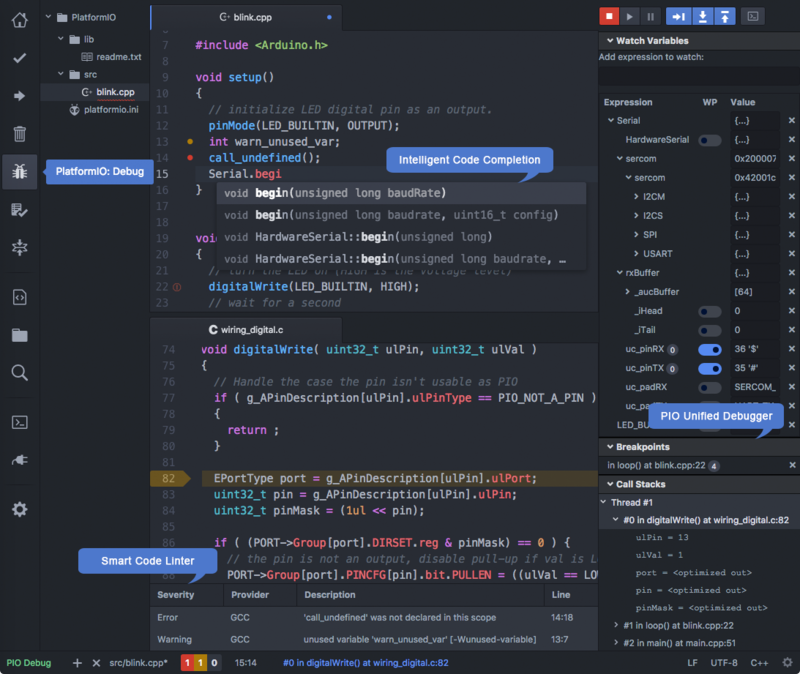 PlatformIO IDE uses clang for the Intelligent Code Completion. To install it or check if it is already installed, please follow to step II. Clang for Intelligent Code Completion from Installation guide. The libraries which are added/installed after initializing process will not be reflected in code linter. You need Menu: PlatformIO > Rebuild C/C++ Project Index (Autocomplete, Linter). Recommended! See Convert Arduino file to C++ manually. 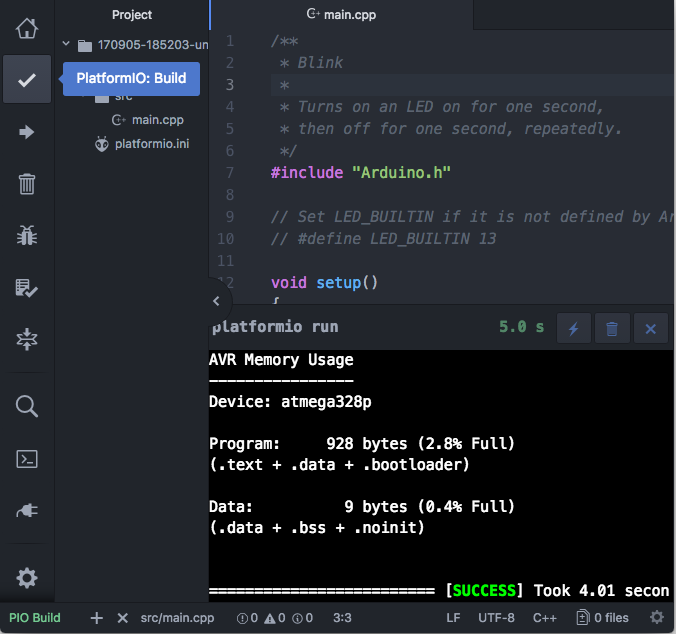 Perform all steps from Convert Arduino file to C++ manually (without renaming to .cpp). Please do not modify other flags here. They will be removed on a next “Project Rebuild C/C++ Index” stage. Please use build_flags for “platformio.ini” (Project Configuration File) instead. Please read this article Installing PlatformIO on Arch Linux. PlatformIO IDE hides build panel on success by default. Nevertheless, you can keep it visible all time. 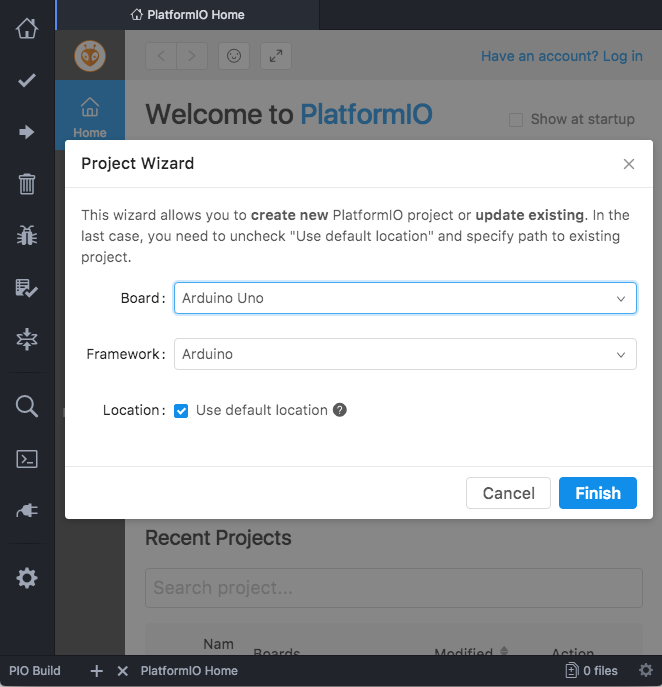 Please follow to Menu: PlatformIO > Settings > Build and set Panel Visibility to Keep Visible. If you want automatically save all edited files when triggering a build, please follow to Menu: PlatformIO > Settings > Build and check Automatically save on build. Click on a function/include, press F3 and you will be taken directly to the declaration for that function. You need to install atom-beautify package and C/C++ Uncrustify Code Beautifier. Here’s how to uninstall the PlatformIO IDE for multiple OS. See Uninstall PIO Core and dependent packages, if you do not need it in a system. 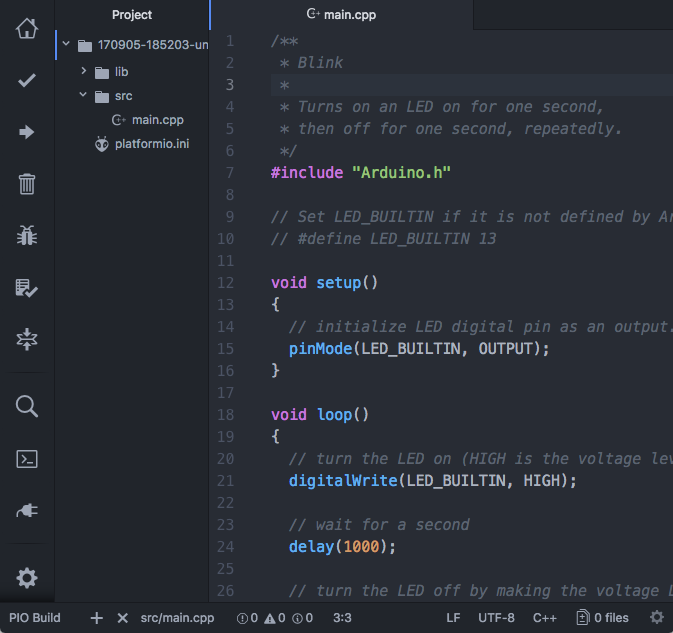 Nov 10, 2016 - PiGreek - PlatformIO the new Arduino IDE ? !